Despite the high toxicity of arsenic, there are arsenical drugs — in other words, there are drugs that contain arsenic. One of these drugs, roxarsone, is used in chicken feeds to kill intestinal parasites, promote growth (make the chicken grow faster) and improve pigmentation (make meat look pinker). Roxarsone contains organic arsenic, which is much less toxic than inorganic arsenic. However, mounting evidence suggests organic arsenic can change into inorganic arsenic once administered to chickens. The U.S. Environmental Protection Agency (EPA) classifies inorganic arsenic as a known human carcinogen — This classification is based on extensive population studies of lung cancers that developed following arsenic exposure through inhalation, and skin cancers that developed following ingestion of contaminated drinking water in adults. According to the EPA, arsenic exposure also may be associated with a higher incidence of bladder, liver, kidney, and prostate cancer. The World Health Organization International Agency for Research on Cancer (IARC) classifies arsenic as a known (Group 1) human carcinogen. In 2011, the leading U.S. roxarsone marketer Pfizer suspended U.S. roxarsone sales after tests carried out by the Food and Drug Administration (FDA) found traces of inorganic arsenic in chicken livers. 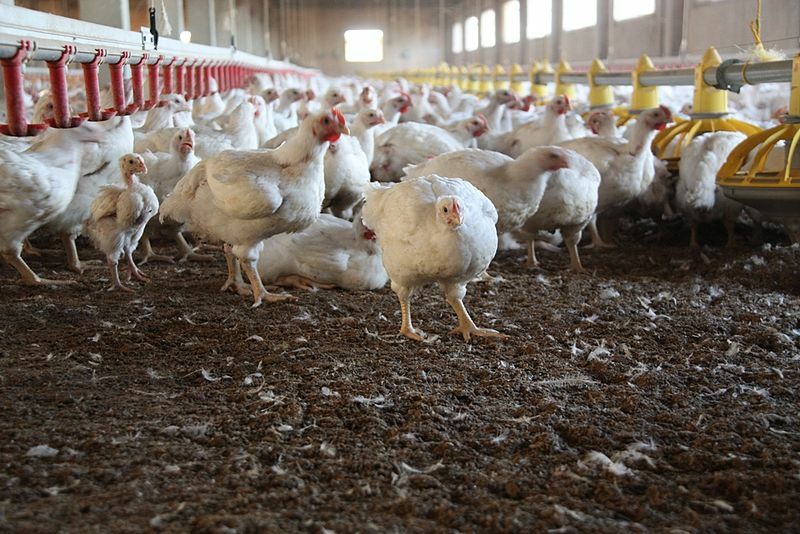 The FDA study did not provide data on the presence of inorganic arsenic in chicken meat. Now, results from a study published in May in the scientific journal Environmental Health Perspectives (EHP) show that inorganic arsenic may accumulate in the meat of treated chickens. The EHP study (Nachman KE, et al. Roxarsone, inorganic arsenic, and other arsenic species in chicken: a U.S.-based market basket sample. Environ Health Perspect 121(7):818–824, 2013, http://ehp.niehs.nih.gov/1206245/), which analyzed chicken breast samples from 10 geographically diverse metropolitan areas across the United States, is the first to show presence of inorganic arsenic in retail chicken meat. The study samples were collected from December 2010 through June 2011, and therefore prior to the suspension of roxarsone marketing. Marketing, however, has continued in other countries and Pfizer still domestically markets the arsenical drug nitarsone, which is chemically similar to roxarsone. Currently, in the U.S. there is no federal law prohibiting the sale or use of arsenic-based drugs in chicken feed. There is something more to take into account — Results from the EHP study show that cooking chicken breasts decreased the levels of roxarsone. However, cooking chicken breasts increased the concentration of inorganic arsenic in the meat. Therefore, it seems likely that roxarsone is converted into the more carcinogenic form during cooking.